Spirituality can matter more as you age. Now that we are entering a season of high spiritual celebrations like Easter- this is an important ritual to involve elders in spiritual communities. Religious communities offer elders socialization thus increasing their quality of life and returning joy to their lives. Leonie Nowitz, a geriatric care manager who has a deep interest in spirituality and writes about it often, once told me to look at spirituality as a question ” What is this all about”. As we age, this question becomes primal, for we face death coming at a rapid pace. Elders wonder- do I go to heaven, to hell, or just energy or dust. Will I meet angels- my wife in heaven.? Ms. Nowitz said that when you define religion, look at it as a filing cabinet with each drawer is a religion with an answer to spirituality ” “What Is this all About”. There is one for Jews, Protestants, Hindu’s Muslims, Quakers, The Environment- all religions and belief systems. One assessment care managers can do is a spiritual quality of life assessment to find out where joy can be found again. If spirituality is something that would increase an elders quality of life, here are some activities that you may suggest to an older client or their family, especially on holidays when places of worship have their most spectacular music, smells, and bells and pageantry. If an older person appears isolated and is unable to attend their place a worship, especially on holidays, because of not driving or disability and they wish to still join a congregation, contact the head of the religious group and ask if members could transport him or if they have a van service or arrange for members to transport them to services. If they cannot get out ask if the spiritual leader or congregation members would make home visits. 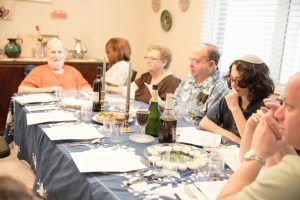 If an older person is not now a part of a religious group but what once was and has some interest in returning, holidays are the best times to reconnect. Contact the head of the religious group and ask him/her to make a home visit and the care manager follow-up with transportation arrangements if yes. If an older client has had a recent close relative or friend die and wishes to return to a spiritual group she knew before, connect them, with the congregation they are familiar with for solace or grieving. 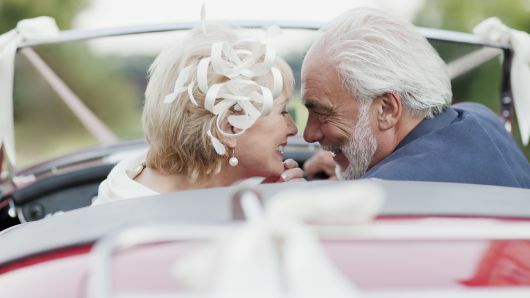 If an older person has dementia if possible reconnect him her with his spiritual background through familiar prayer, music, etc. How Can a Care Manager Help Elder Die Without a Will , as Aretha Franklin Just Did? Aretha Frankin Died without a will last week. Most of us have heard this. According to her lawyer, she was aware she needed to take care of this but ” never got around to it”. This leaves her estate liable for potentially millions of dollars of taxes and attorneys fees and a drawn-out timeline for her 4 sons to inherit the proceeds from her estate. Could a really good care manager have convinced Ms. Frankilin to ” get around to it” . She was, as many have said, ” a force of nature” and a woman who would be hard to sway. But care managers specialize in working with VIP clients and the rich and famous, who are often highly difficult to work with, so she might have convinced that she needed to work with her attorney to this to protect her family and her estate. But we will never know. Once the terminal diagnosis is known with an elderly client, the care manager who has added “end of life services” to their agency, is often the one who will initiate and guide advance care planning discussions. As difficult as these discussions may be, the burden on the family is significantly lessened if decisions about advance care planning are made before the client’s condition worsens. Hopefully, this has already been done but many people put it off for fear of death. A recent study found that less than 50% of severely or terminally ill patients had an advance directive in their medical record. Advance directives are legal documents that allow clients to make decisions about their health care and finances in advance of when they are not mentally or physically able to do so. These documents which must be signed, dated and witnessed naming another person to make decisions for you. Care Managers play a big role in end of life issues. They are their navigators through all five stages of dying, many times long before palliative care or hospice are called. 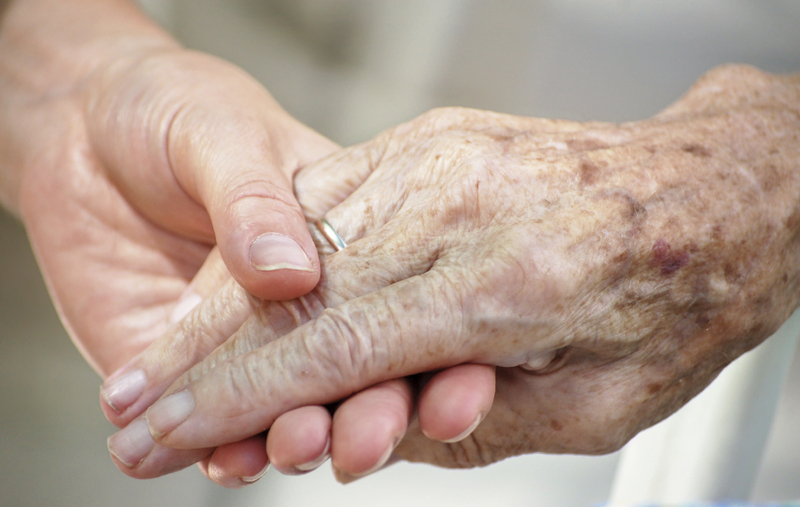 Often GCM’s can help the family and client to bring in hospice or palliative care. The final passage through life can emotionally charged. If the family is following a long labyrinth to the end, the blind alleys may be blocked by cultural, religious, and moral beliefs. Care managers can find an opening through this maze. Money, family dynamics, and fear of dying can all explode a fraught crisis of care in dying. When the important end of life decisions need to be made, like Ms. Franklin’s will, the stress of the responsibility and the seriousness of the situation can break a wave of distress fear and anxiety over the “ whole family system” the dying elder. The geriatric care manager specializes in this whole family system. Proactive discussions and legal planning can help to reduce some of the potential pitfalls. Good legal guidance can also help clients like Aretha Franklin make better decisions, like making a will or a trust, and saving her family from adding to the burden of her death. How Does Atul Gawande View Quality of Life in Dying ? Atul Gawande ‘s acclaimed book, “Being Mortal“ opened our eyes to the medical way of death. He showed millions of readers how the quality of life and human interaction while dying trump the number of years gained through questionable painful procedures and dying in an institution. GCM Nina Herndon brings you that same quality of life message- about dying –where an elder can still live the end life with joy. 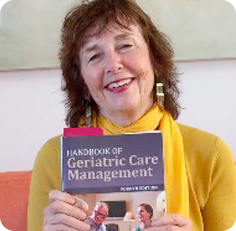 Her new chapter “Supporting Clients’ Quality of Life: Drawing on Community, Informal Networks, and Care Manager Creativity” in the Handbook of Geriatric Care Management 4th edition is a geriatric care management Nina has devoted her career to giving elders a care plan for a happy life and a happy life to the very end. She now has a new product Joyfull Moments out an individualized Activity Kit you can order and help an older client reclaim joy through Quality of Life activities designed by Nina’s Hummingbird Program. Bringing joy in the here and now of dying can be done through using quality of life tools- Spiritual, emotional, intellectual, creative and physical quality of life. Increasing the spiritual quality of life can mean for a person is dying and wishes to return to a spiritual group she knew before, connecting them to the faith they are familiar with. Even homebound clients can have visits from members of a religious community or a prelate. They can have hymns sung, prayers said or whatever religious ritual their spiritual group follows, like communion, at home. Care providers can be trained to engage them by reading religious texts or playing hymns. Spirituality can be the environment. I once had a client who was in a nursing home dying of cancer and wanted to go home to die with hospice and 24-hour care. His spirituality was the environment and he had been a lead volunteer to build a trail in Santa Clara California from Los Gatos up the steep winding highway 17 over the Santa Cruz mountains to the Lexington Reservoir. He had no family so the care manager asked the volunteers he had worked with, if they would visit him at his home. They happily agreed and 300 volunteers took shifts, 24 hours a day to sit with him reminisce, tell stories and sing while he died over several weeks. This is what joy that bringing a spiritual quality of life can offer in dying. What Does a Care Manager Do When a Client Asks For Help with Assisted Suicide? The terminal phase of any life-threatening illness is the time between diagnosis and the final decline when no cure or extension of life is in the offing. The individual confronts progressive decline and deterioration. Death is imminent. The care manager has a role. The focus of doctors and patients now changes from attempting to cure the illness or prolong life to trying to provide relief from pain and to comfort the sufferer. Religious concerns such as what happens after someone passes away or how to handle the suffering at the end of life or how to give comfort to family members are the focus during this time as well as trying to tie up any loose ends. But what happens, when in the terminal phase the client asks you, the geriatric care manager, about the right to die in your state. In California where In June 2016, our state became the fourth in the nation to allow medical aid in dying for patients suffering from terminal illness, they do have a right to discuss this with their physician. Four other states have passed this law including Oregon, 20 years ago. In an article in yesterday’s New York Times a physician in Oakland, Ca discussed the ethical dilemma that physicians face. She called for more, guidance and training for physicians in solving this dilemma themselves but also said the law was working well. This speaks to more directions for care managers who face this request and it’s ensuing dilemma. We cannot make any of these decisions but this adds another step for us if the clients ask us to help them with physician assisted suicide. So we need protocols and training as well.